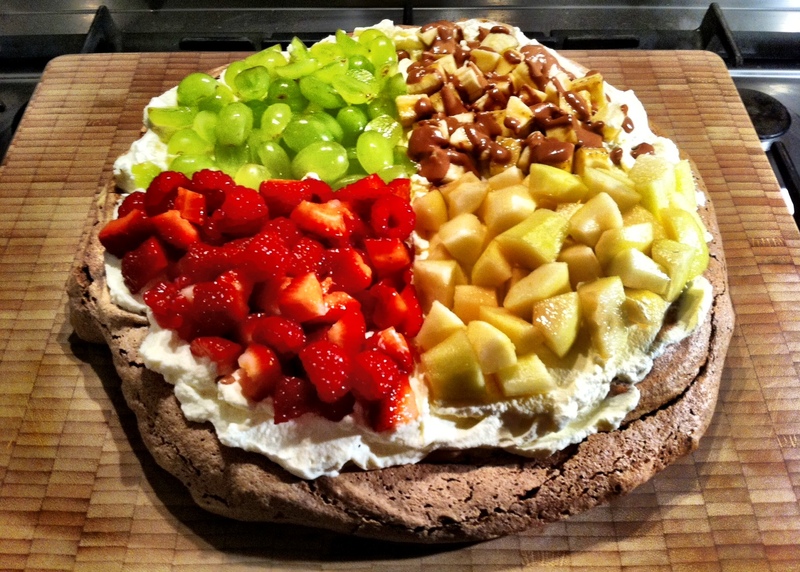 This makes quite a large pavlova and can easily feed 8-10 people – perfect if you’re having a party! Fruits of your choice – I chose seedless green grapes, strawberries+raspberries, pears and bananas. Preheat the oven to 180 degrees celsius and line a baking sheet with baking parchment. 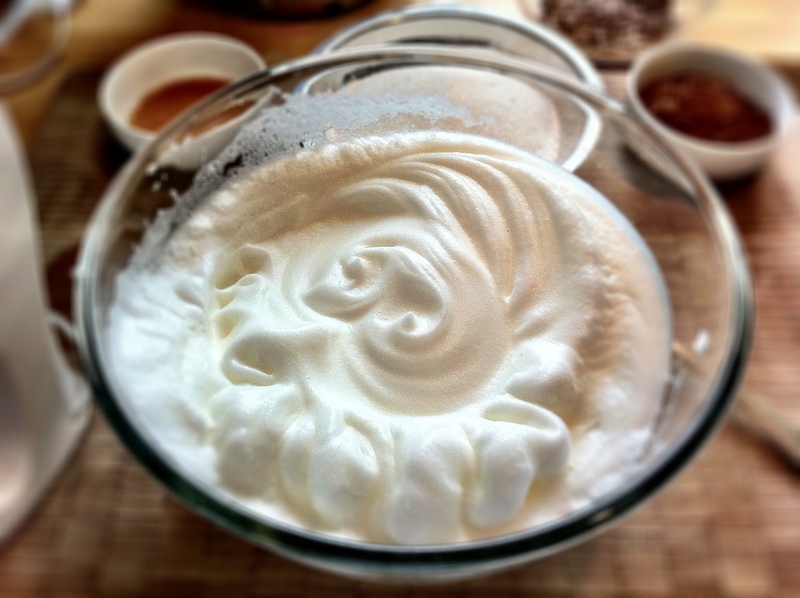 Using an electric whisk, beat your egg whites until they are stiff and hold their peaks. 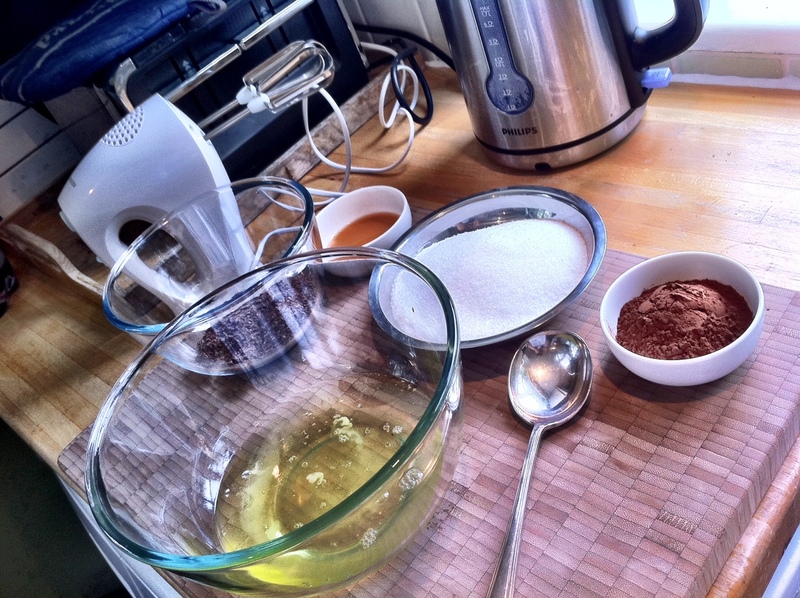 In a small bowl, combine the vinegar, cornflour and vanilla essence. Pour this into your egg whites and keep beating. As you keep whisking, gradually start adding your sugar and the cocoa powder – be careful as your cocoa powder is liable to fly everywhere! Turn the whisk off and fold in the remaining chocolate. 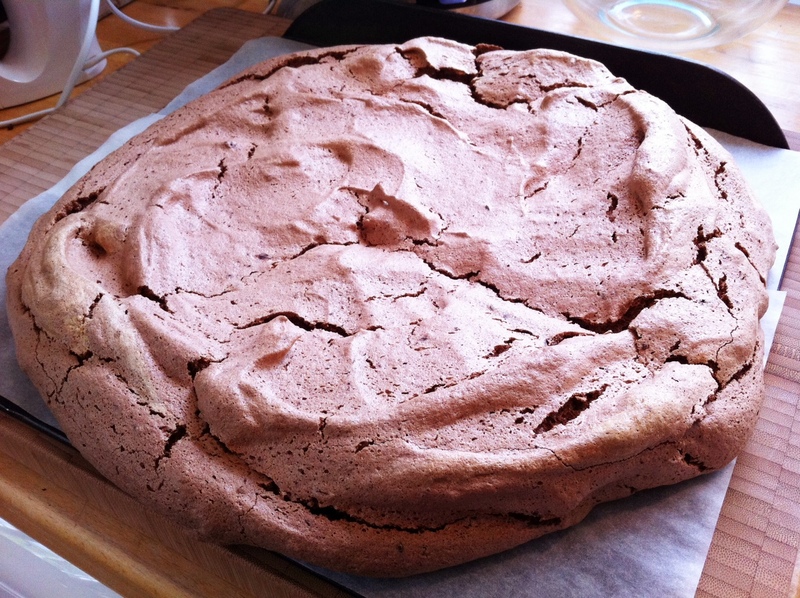 Pour your chocolate mixture onto the baking tray and trying and spread it evenly as possible. Place it in the oven and turn the heat down to 150 degrees celsius and cook for about 1 – 1 1/2 hours. 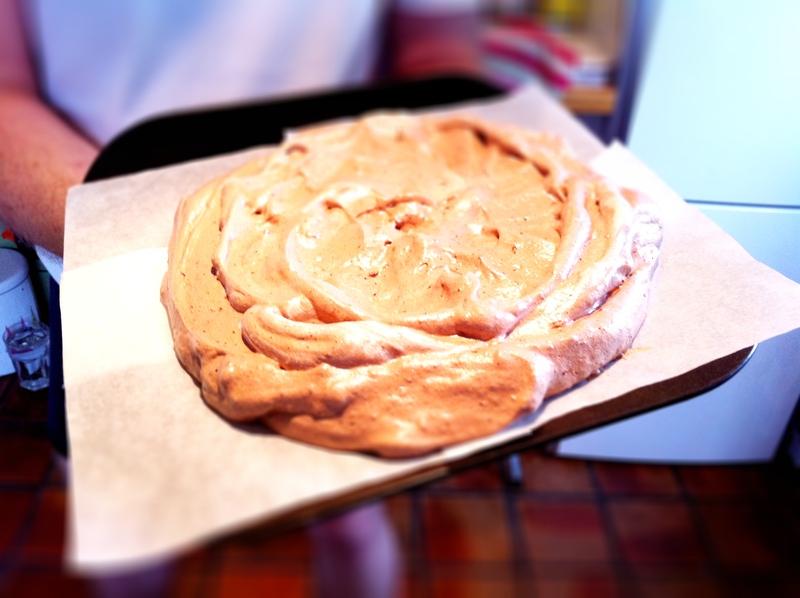 After this time, turn the oven off and leave your pavlova in there until your oven is completely cooled. 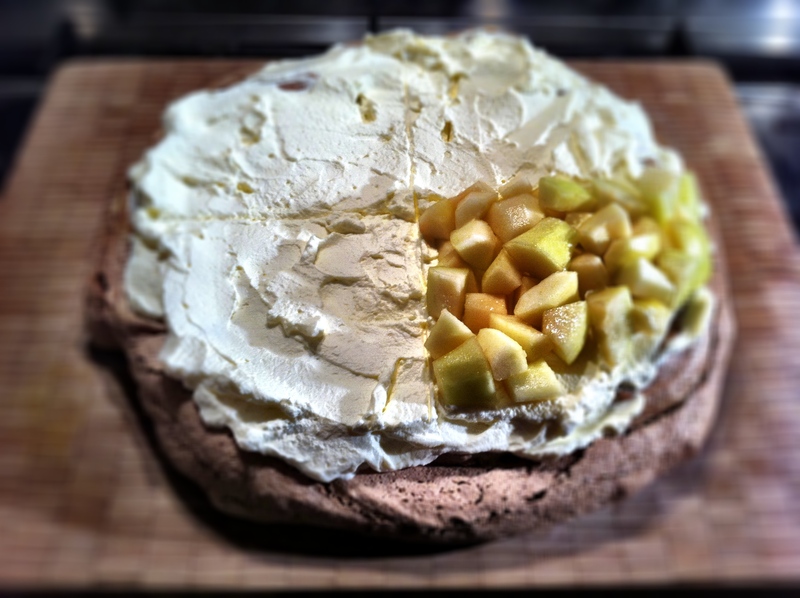 Some people like to flip the pavlova over so that you have a flat surface for the cream and fruit. That’s an entirely personal choice but I normally don’t. Assembly time. First – the pears – my favourite! 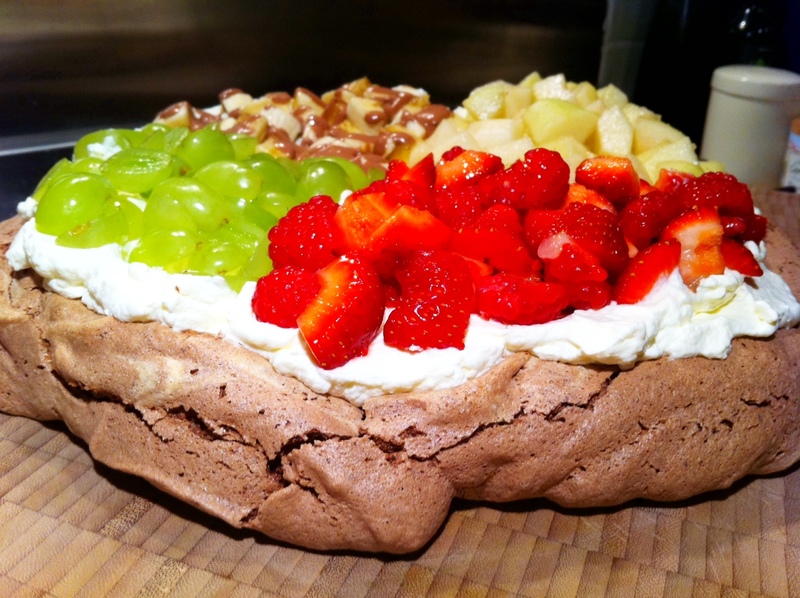 When you’re ready to serve, beat the whipping cream until firm and pile it all over your pavlova, followed by the fruits of your choice.